One of the most significant, but unacknowledged problems of running a business is that you, as the owner, get isolated. So stop by CyberSchmooz where you can let down your hair and talk candidly with other owners. Kick off this summer by heating up your connection with customers and your community! Memorial Day Weekend is the perfect time to start what will be a season filled with exciting celebrations, events with patriotic pride and awareness focused activities! Break out the Red, White & Blue for Memorial Day on May 31st and Independence Day, July 4th. Your personal message of pride and gratitude will go a long way. Commemorating these important holidays at local parades and barbeques with those who support your success will leave a lasting impression and create a bond that will be hard to break. And the best part is your giveaway has now become a souvenir � to be kept for years to come! Summer is also the time to take to the parks and streets to raise awareness for a multitude of worthwhile causes. 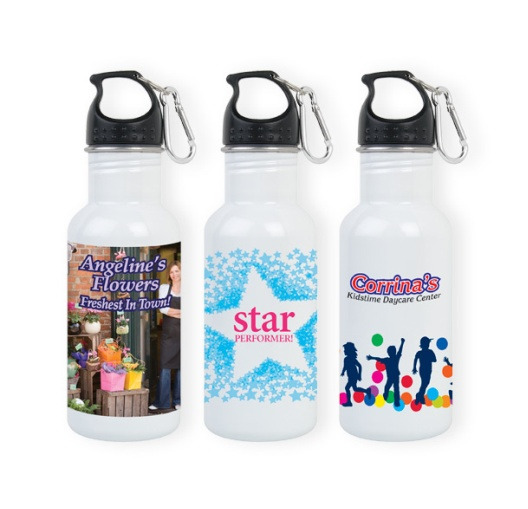 Sponsor a walk in your community, and for every participant have a t-shirt or personalized water bottle reward. You�ll carry the message of caring and active awareness long after they cross the finish line. And of course � there are the summer sales! Put more power behind your Sizzling Savings. Something as small as a piece of chocolate can bring people to your door � and a cool color key tag will bring them back again and again. So, pick products that match your personal message and make this summer the best season ever for connecting with those who matter most!